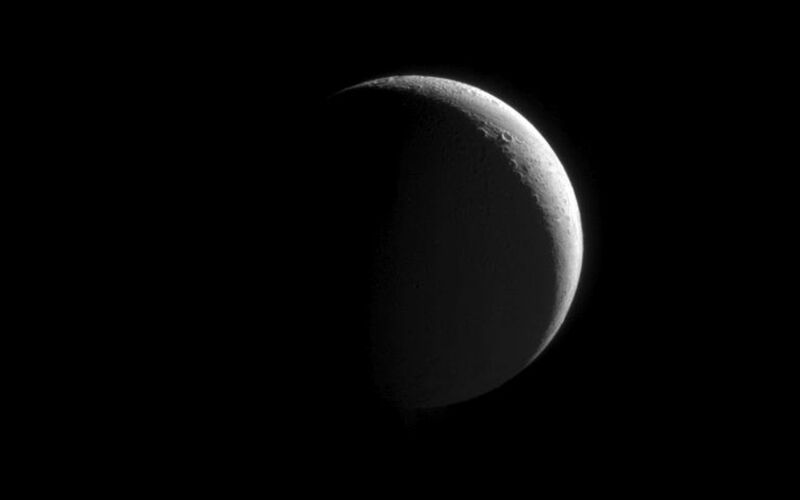 Northern craters line the crescent of Enceladus. This image is part of an observation designed to view the moon's plume of icy particles at a moderately high phase angle. Phase angle is the angle formed between the Sun, the target being imaged, and the spacecraft, and it ranges from 0 to 180 degrees. Tiny particles, like those in the plume, brighten substantially at high phase angles. This view was taken from a vantage point 37 degrees above the equator of Enceladus (504 kilometers, or 313 miles across). 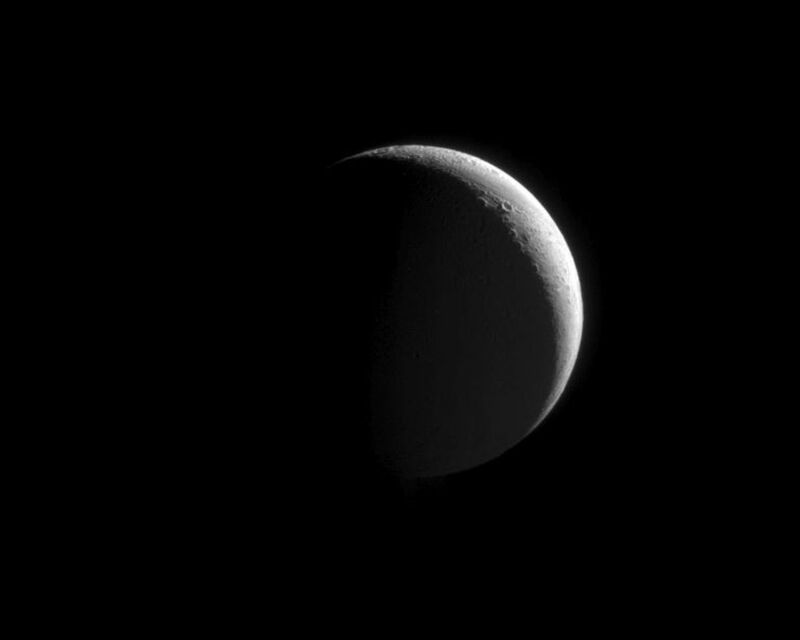 Reflected light from Saturn dimly illuminates the moon's dark side. 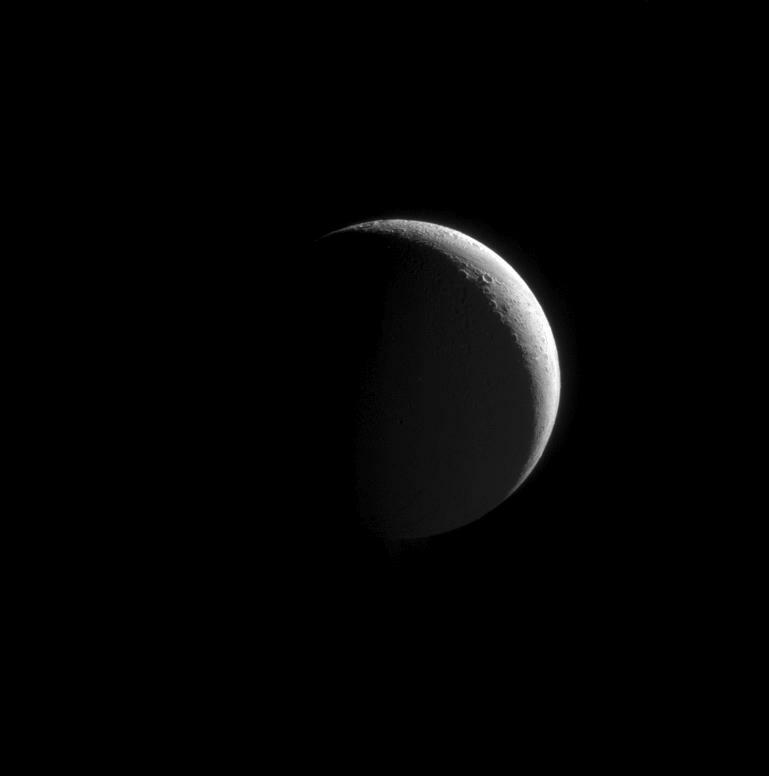 The image was taken in visible light with the Cassini spacecraft narrow-angle camera on Sept. 17, 2008. The view was acquired at a distance of approximately 262,000 kilometers (163,000 miles) from Enceladus and at a Sun-Enceladus-spacecraft, or phase, angle of 140 degrees. Image scale is 2 kilometers (5,137 feet) per pixel.